Started for the first time on December 21, 2013 with Longest Night, Uzunetap Night Runs are now on various dates throughout the year! Uzunetap Night Runs with its sparkling and fun theme will be the most unforgettable running experiences of the year! In this category, the competitors take one tour around the lap and reach the finish. There is no age ranking in 4K category. The ranking will be made in 2 categories as women/men. In this category, the competitors take a double tour around the lap and reach the finish. There is no age ranking in 4K category. The ranking will be made in 2 categories as women/men. Belgrade night run is run on the Belgrade Forest Neşet Suyu running track in 2 categories as 4K and 8K. Racetrack is a stable forest path. With the Uzunetap Night Runs series, we meet at Caddebostan at June 18 and enjoy the night after fast breaking. There is no age ranking in 5K category. The ranking will be made in 2 categories as women/men. Race is run on Caddebostan coast on a stable ground. You can get to Caddebostan with public transport from Kadıköy. • Competitors must be minimum 18 years old. Entry for those who are younger then 18 can only be possible with an accompanist (competitor) parent. Competitors younger then 18 must fill in the Parental Consent Form at the web site and sent the signed copy to race organizers via fax. The original of the form must be presented to organizers with all the other documents at the first day of the race. • It is mandatory for the participants to fill in the form in the registration section and deposit the participation fee for the selected category to partake. The form must be completely filled. The chest numbers which are mandatory to carry throughout the race will be delivered at the registration desk. • Organizers and referees hold the right to disqualify a competitor in case there is a health issue. • Competitors who fail to present mandatory equipment before the race are subject to disqualification. • The participation fee is nonrefundable in case of absence of the mandatory equipment, violation of any of the rules above and disqualification by the referees on any ground. • Registrations are done online. You can make your pre-registration by filling out the required information on the ‘Registration’ tab, and complete the registration by making the payment. Once you’ve finished your registration, a confirmation email will be sent to your inbox. In case the automatic confirmation mail doesn’t reach you, please check your spam folder and inform the organization team from info@uzunetap.com. • Runners who have completed they registration may check their names have in the ‘Registered Runners’ list. • The competitors can collect their kits on Sunday at the kit distribution point after showing their ID. • The participants are responsible for participation to the event. Organizer company is exempt from any liabilities including accidents and lost belongings and other gear. Upon the reception of the entry documents, all participants accept that they do not have a condition preventing them from participating in the race. • All athletes are insured by the Turkish Athletic Federation (TAF), in accordance with the road reaches regulation of the federation. The insurance costs are covered by the organizer company. • Giving the race number or chip to someone else is a reason of disqualification. • Getting off from or changing the racetrack is a reason of disqualification. Participation fee for one of the Uzunetap Night Runs is 95 TL. Participation to 3 events in the same year is 220 TL. It is mandatory for the participants to fill in the form in the registration section and deposit the participation fee to partake. The form must be completely filled. The chest numbers which are mandatory to carry throughout the race will be delivered at the registration desk on the day of the event. Participants are supposed to collect their race kit before the race start. No race kits will be given after the race. 10% of the participation fee will be donated to “Make a Wish” charity. 5 TL of the participation fee will be given to Athleticsm Federation as an insurance fee. Each participant is liable to carry the equipment listed below all through the race. Participants lacking any of the equipment at the equipment check during the registration are not allowed to race. Uzunetap Night Run Series provides the brands many display areas for the best visibility and interaction with the participants and locals. 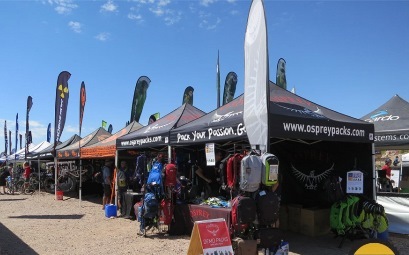 You can promote your products and brands at the booths. You can also provide an influential international and local media visibility through sponsorships. Contact us to set up a booth, collaborate and sponsorships at Uzunetap Night Run Series! In this category, the competitors take one tour around the lap and reach the finish. There is no age ranking in 6K category. The ranking will be made in 2 categories as women/men. In this category, the competitors take a double tour around the lap and reach the finish. There is no age ranking in 12K category. The ranking will be made in 2 categories as women/men. The Event will be held in Neşet Suyu / Belgrad Forests. Click here to see the Google Maps location. There will be a shuttle service in the race day at 06:30 pm from Hacıosman Metro Station to the event area. Click here to open new page.